Next up: the Ryzen 3 rollout, this Thursday. Ryzen was the star of AMD's second-quarter earnings call Tuesday: The processors helped boost earnings 19 percent compared to a year ago. Company executives also had two messages for gamers: one, that game developers had largely completed their code optimizations for Ryzen, and two, that miners who hoarded graphics cards wouldn't be around forever. Both messages should resonate with gamers, who have struggled to find available graphics cards because cryptocurrency speculators have snapped up the available supply. Meanwhile, those same gamers have had to wait while developers rewrote their code to take advantage of the new Ryzen chips. Ryzen sales had a profound impact on second-quarter sales. AMD's Computing and Graphics segment revenue rose a whopping 59 percent year over year to $659 million. AMD's other segment, covering the enterprise and chips for game consoles, fell 5 percent to $563 million. Overall, AMD lost $16 million (or took in $19 million in profits, without charges) and reported $1.22 billion in revenue. Next quarter, AMD predicts a whopping 23-percent sequential growth in revenue. "When we look at where we are, in the progression of the Ryzen rollout, we're still in the early innings," CEO Lisa Su said during the call. 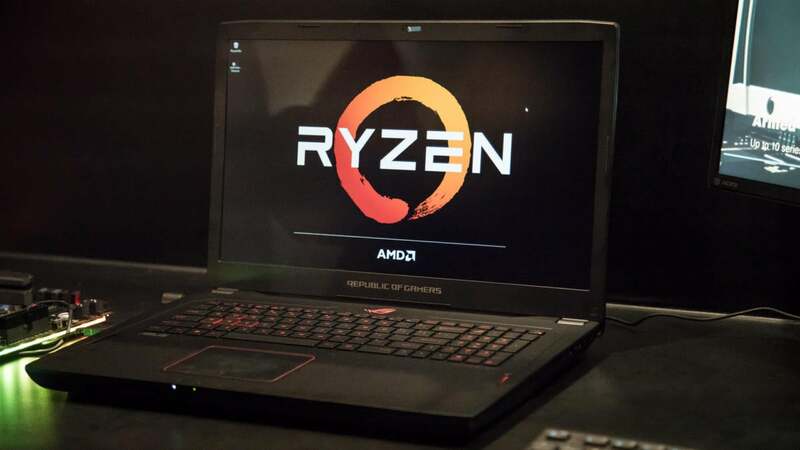 Why this matters: While the numbers indicate that AMD is already seeing strong results from Ryzen sales, the two points Su addressed could affect gamers' hearts and minds as AMD moves forward with Ryzen. AMD still has to deliver, but it's heartening to see that the company's thought through some of the key issues affecting its customers. AMD has always been relatively open with its product roadmap, and Su continued that tradition. Next week at the SIGGRAPH graphics show in Las Vegas Angeles, AMD will launch additional Vega graphics products. The company remains on track to bring its mobile Ryzen chips to market by the holiday season, Su added. AMD announced the 3.5GHz Ryzen 3 1300X and the 3.1GHz Ryzen 3 1200 CPU earlier this month, and those low-end chips will begin shipping July 27. One of the unexpected issues with Ryzen, however, was its lackluster performance in 1080p gaming, which executives chalked up to poor optimizations by game developers. The optimization process has been largely completed, Su said. "I believe we've worked around a lot of that," Su said. "We've seen game developers, content developers support the Ryzen ecosystem." AMD has returned the favor with hardware support for its partners. "We've continued to support the ecosystem," Su explained. "If you look at the motherboards, if you look at the memory capability, they've significantly improved just in the past three or four months." Su also addressed the ongoing shortage of graphics cards, which are being used by cryptocurrency "miners" to calculate the blockchain transactions underlying Ethereum. The virtual coins miners gain can be traded for hard currency, which explains why they're grabbing every GPU they can find to mine even more coins. Gamers lose in this equation, however, because they're unable to find graphics cards to upgrade their systems. Su said AMD is addressing the problem in two ways: One, the company's customers are trying to segment the market between mining cards and true gaming cards. Two, AMD is ramping up production to sustain the retail channel. Su added, however, that AMD isn't thinking of mining as a long-term problem. "We didn't have cryptocurrency in our forecast, and we're not looking at it as a long-term growth driver, though we'll continue to watch the blockchain technologies as they go forward," Su said. "GPUs are strong, and it's a great market to be in," Su added.